The idea of creating content in hopes of gaining SEO perks has changed significantly over the years. 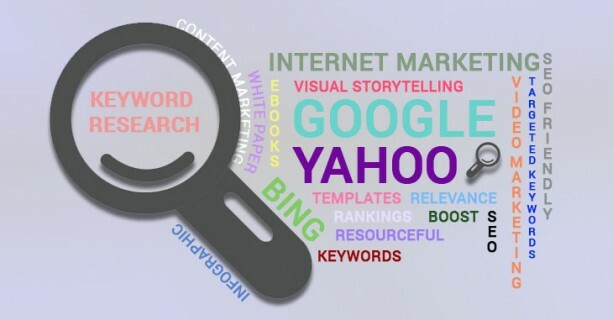 It used to be a quick and painless process to produce text that would help websites rank higher in search engines. However, after the changes in Google’s guidelines, companies are required to create high-quality content that are relevant and resourceful – a job that requires a much higher level of strategy than ever before. 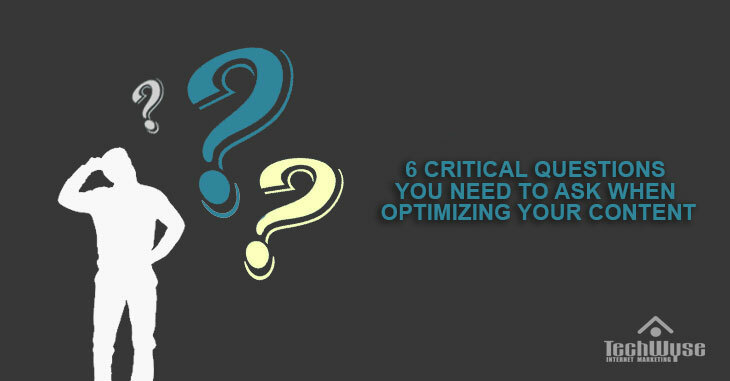 If you understand the influence content has on your search engine optimization efforts but want to ensure you won’t get penalized along the way, here are a few questions you need to answer. 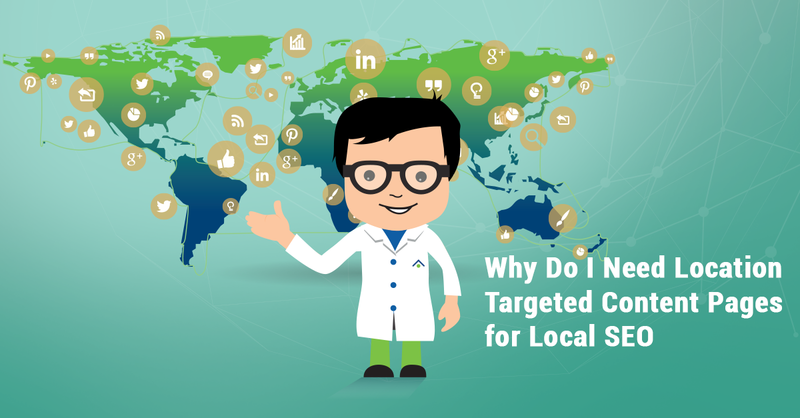 Does it Contain Your Targeted Keywords? Since the start of SEO, including the right keywords into your content was an important strategy to help businesses improve their rankings. Today, this strategy is still relevant and important when you’re creating content for your website. However, the changes in Google’s algorithms have deemed keyword stuffing a black hat SEO strategy. 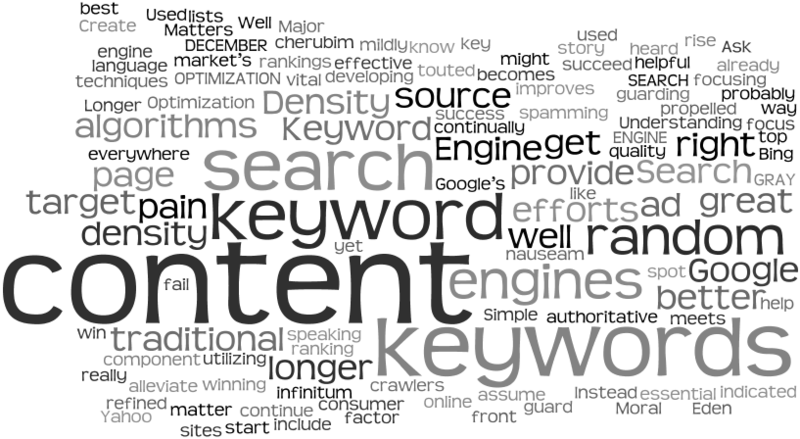 Therefore, optimizing keywords is a much more diligent and careful process for content creators and webmasters now. So, how do you keep Google happy while still optimizing your content? You add keywords in a way that’s both natural and smart. This answer may seem a little vague, but it’s exactly what search engines are looking for. Your keywords need to be placed strategically while still sounding as though they belong in the text. The number of times you can safely mention a keyword largely depends on what your content is about and what the keyword is. For example, if you’re writing a post about dog houses and your key term is “dog houses”, you can obviously mention it more than a few times without obstructing the natural flow of your article. On the other hand, if you have a more specific key phrase, such as “hand-threaded wallets in Colorado”, it’s going to be a bit more difficult incorporating that term organically into text. Lesson learned? Instead of focusing on keyword density, focus on writing something of high quality that’s both informative and relevant. If you can do this and simultaneously incorporate the phrase (or variations of the phrase) into your material, you’ll have a much healthier piece of SEO-friendly content. Is it Written to Benefit an Actual Human Being? When you’re so focused on manipulating your content to please search engines, it’s easy to dismiss the needs of your actual readers. Luckily, current algorithms have been updated to favor the websites that have text written for human users, meaning you can now gain the approval of both your audience and search engines. Whether you’re writing on-page content, such as product descriptions and blog posts, or you’re focusing on guest posts on other industry sites, remember that if there is anything consistent about Google’s updates, it’s that they have been raising their standards of quality and penalizing websites that aren’t offering their readers anything of value. Will my readers learn anything new or see the topic from an alternative perspective? Am I providing valuable advice for my readers? To put it simply, if your material is hard to read, no one is going to stick around to see what you have to say. Bounce rates do affect search results and if your visitors are leaving before they even have time to read your words, you’ll also miss out on the opportunity to get more followers and have your content shared through social media. The good news is that writing easily readable content isn’t too difficult. First off, you have to make it appealing. We live in an age where “skimmable” material rules the web and if you’re putting out a long chunk of unbroken text, readers get scared away. Bold your main points using subheaders and use bullet points where appropriate. You want your readers to be able to zero in on the information they need without having to read the entire page. It’s also important to know your audience so that you can craft your material around your average visitor. This will help you know what kind of tone (casual, professional, edgy, etc.) to use as well as what type of vocabulary and industry term is appropriate. If you write something can’t be understood by the general audience, they’ll turn to another site immediately. Lesson learned? Break up your posts with bolded titles, headers, and bullet points. Always compose your content to be stimulating to your readers without going beyond their comprehension. Flimsy, surface-level “how to” articles just don’t cut it anymore. 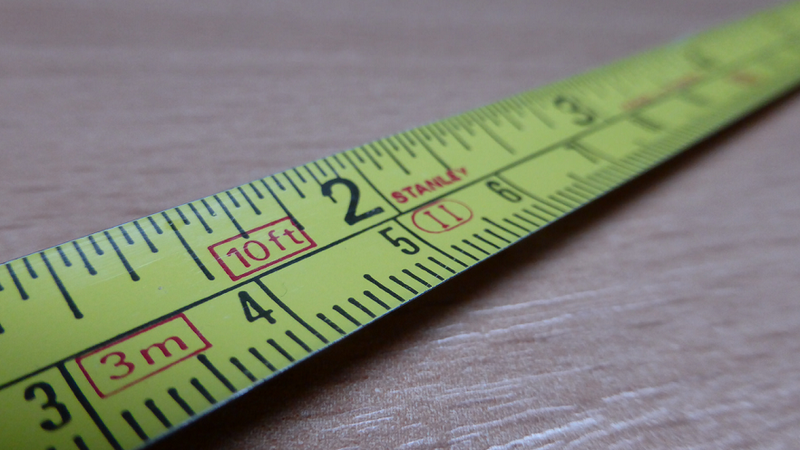 Google openly frowns on “thin content”, and while most Internet professionals know this, they are still left wondering about the minimum word count they should currently be aiming for. Unfortunately, there is no golden number to guarantee that your article will make the cut, but generally speaking, most content marketers are transitioning from creating material that is about 500 words long to content that are about 800 words. Don’t rely on the number of words in your writing, however. You should be primarily focused on the quality of the content you’re posting, meaning it should be long enough to educate or inform your readers on the topic you’re writing about. Lesson learned? While lengthier posts will generally provide more SEO juice than shorter ones, the real basis of quality web content is making sure you’re providing something useful, constructive, and/or rewarding for your audience to read. First off, no, we aren’t asking if your writing is unusual and ground-breaking. If it is, you’ll go much further with it, but what we’re referring to is whether or not you’re publishing material that has been posted elsewhere on the web. Duplicate content is a major reason why websites get penalized, so make sure your content is 100% unique to the domain you’re publishing on. It’s completely acceptable to quote and cite a sentence or two from another source, but simply copying and pasting three paragraphs and putting them in quotation marks is not the way to go about improving your SEO. This rule doesn’t just apply to blog posts. One of the biggest SEO mistakes made by owners of e-commerce websites is that they use the exact wording to describe their products as their manufacturers use. Who knows how many other websites that are selling the same products have the same description listed as well? In order to prevent Google from registering this as duplicate content, it’s important to write a unique blurb for each product listed on a website. Lesson learned? To really play on the safe side of SEO, make sure ALL of your content is original and only published once on the web. Does it Include Links to Other Resources? Link stuffing makes for a very poor user experience and as we’ve established above, search engine algorithms are constantly being updated to help create a web experience that’s desirable to actual human beings. Internal linking and guest posting are still excellent ways to help boost your web presence, but the way it’s done in today’s world is a little more different. Links in your content should be placed there to point users to other relevant, helpful resources, not solely for an SEO strategy. This is why it’s immeasurably beneficial to have adequate information and industry insight written on all of your web pages, blog posts, etc., so you can link back to them without appearing overly self-promotional. Don’t just link to your own web pages, either. 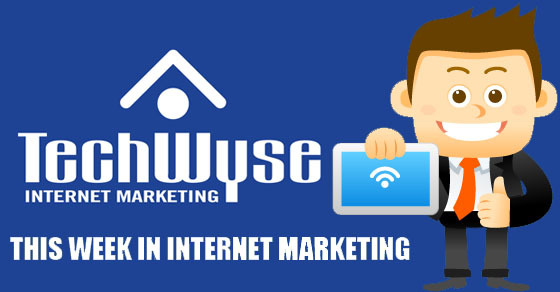 Linking to other industry-relevant websites looks much more natural to Google and helps search engines associate your website with other established professionals in your niche. Lesson learned? 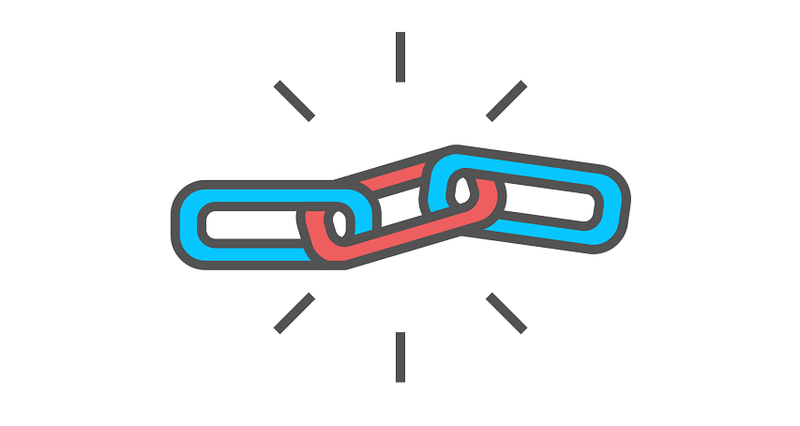 By all means, include links in your content, but be very thoughtful of how you use them. If they aren’t meant to help your readers find more information they might need or want to know, it’s going to look a bit spammy to direct them there. Occasionally linking to product pages from your own website is fine (when it fits within the context of the content), but focus on pointing your readers to other content that helps further enlighten them about the subject you’re addressing. Hopefully, this advice has left you armed with the knowledge needed to take charge of your content marketing campaign with confidence. Remember that the basic rules of writing for the web are actually quite simple when you break them down. Relevant, informative content that’s written for your audience and not for search engines is how you’ll go the farthest with your SEO goals. Always be original, and never overthink it. Do you have your own spin on what works for modern day content marketing that you’d like to share? Let us know in the comments below! Samantha Salter is a content specialist and owner of Upspring SEO in Colorado Springs. She has been writing for many years and first dipped her toes into the world of search engine optimization back in 2012. She also enjoys penning various forms of fiction, spending time in the mountains, and enjoying as much time as possible with the people she loves.